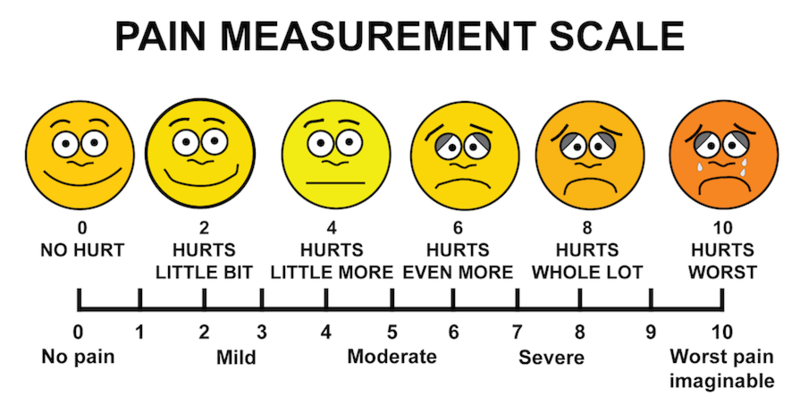 Personally speaking, my pain scale starts at what other/normal people would probably consider a 3. 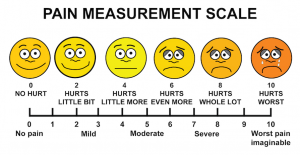 So by logical extension, on the “standard” pain scale, my 10 would actually be closer to a 13. On the mercifully rare occasion that I am admitted to the Emergency Room, the thing that really annoys me is being met with disbelief from the medical fraternity when I express that my pain is a 10 or more. It’s almost as if they refuse to grasp that pain (or the perception thereof) is a relative concept. Everyone is different. Pain thresholds and tolerances vary widely from one person to the next. There is no universal constant – no one size fits all. To be fair though, I kind of blame either medical ignorance or lack of training for this draconian mindset. ← Asking for help . . .